PRINT IS DEAD- SAY IT WITH THREAD! 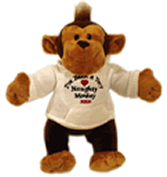 We create unique Teddy Bears with your special message professionally embroidered on them. Our signature line of "Flying Bears" are only available here, and the hoodies and sweaters are designed to fit them perfectly. We offer a wide selection, making the combinations endless. No two Teddy Bears are identical. 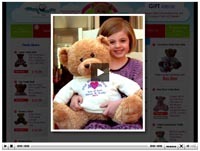 Order Your Perfect Teddy Bear Gift Today! A great Gift for the New Born. 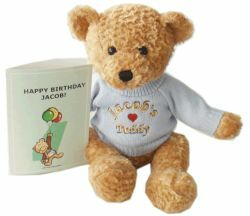 Add a Heart or Star along with the babies name, weight, date and time of Birth.